For a temporary solution, try our custom-fit electrostatic pickguards. 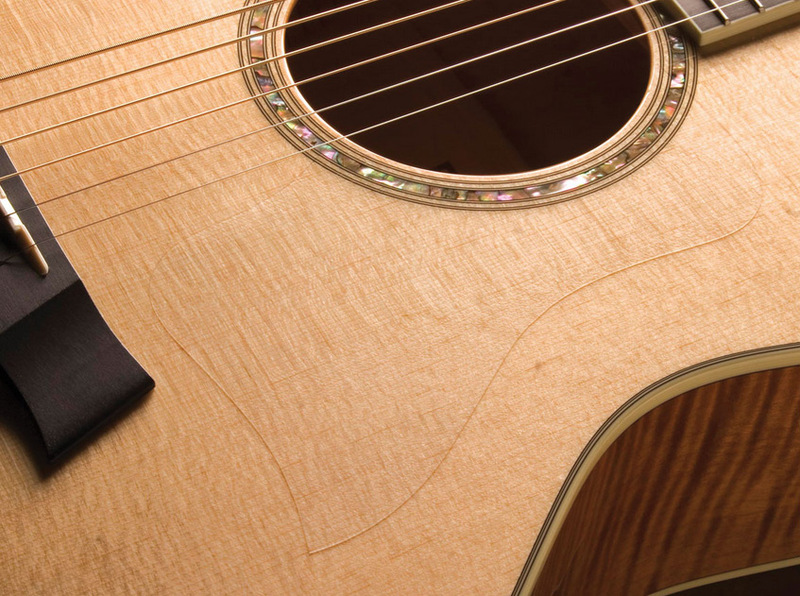 These crystal clear, removable guards will protect your glossy Taylor finish from light dings and scratches. (For maximum protection, we recommend our standard, permanent pickguards). Advisory for older guitars (pre-1995) with nitrocellulose lacquer or conversion varnish: These finishes may be damaged as a result of using this pickguard. Always remove pickguard from guitar when not in use. 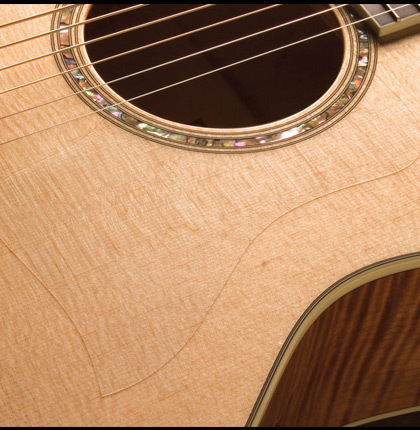 All glossy finished Taylor Guitars built in 1995 or later use a UV cured finish that is less susceptible to damage, though we do recommend removing pickguard when not in use.